Words can speak to you to tear you down, pull you under and try to destroy you… but who is speaking these words to you? In the case of many along with myself it can be our own mind. It can be the whisper inside you of regret that won’t let you forget. It can be the deamonous words of defeat that try to pull you right back down again just when you think you can win. These are the whispers and lies that we tell ourselves and to often listen. But there is freedom. There is One that makes all things new and has call you His own. 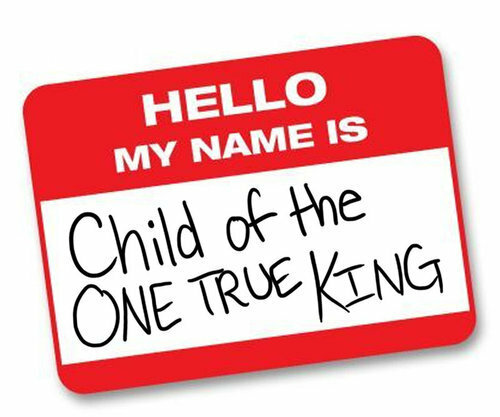 You are a child of the One True King. 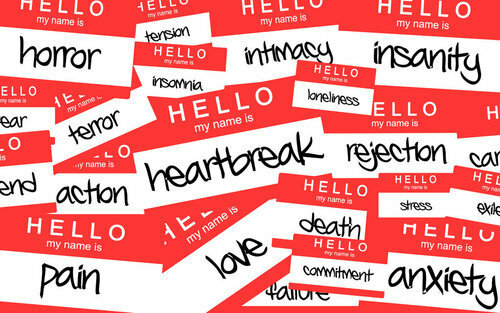 These words are an interpretation on listening to the song by Matthew West, “Hello, My Name Is”. I am thankful for the inspiring words that this talented song writer speaks to my heart everythme I listen. One of the greatest joys is sharing this song with my three little girls, letting them know the meaning of the song and then hearing them sing out loud in worship to our Great God. But then, somewhere along the way the days become marked by more joy than sorrow. The grieving becomes an occasional occurrence rather than a daily event. Crawling gives way to first steps, followed by running. First smiles turn to tentative giggles, which evolve into quick smiles and belly laughs. And stress and tension give way to familiarity and love. But I think pictures speak louder than words…to me this picture of Julia is a perfect, adorable representation of how far she has come in the past year. Today in worship I was singing along the lyrics and right after I joyfull sang the following I was struck and had to stop. But am I ready to stand before the creator of the universe, my Savior, my God, my redemption, my Lord, my all and say; use me as You want, no matter the test!?! Here is far more than I could capture already written about disk alignment for both physical and virtual machines so I will not attempt to recount the reason, theories and proofs for having aligned drives. So you know that you need to have your drives aligned but you have 2000+ virtual machines and you find that your drive alignment is off… now what? You (and your team) continue to search for a solution that is the most effective use of technology to help bring the world into alignment. Enter finally one simple amazing tool from Nicholas Weaver, UBERalign. UBERalign allows for fast and if setup to concurrent VM drive alignment correction. There are some caveats that are pointed that need to be taken into account so before testing please read the details through. Test it out and then get on UBERaligning your virtual world away. As some of you as friends and family know, our youngest daughter is currently in a stage where she does not sleep well at night. This is a heavy weight on my wife and myself as we help comfort her for what seems like endless hours night after night. This morning in worship this song was spoken from God’s heart to mine as I sat there in tears trying to listen. So I sat there thinking: What if my healing comes through tears? What if a thousand sleepless nights? What if those are what it takes to know God is near? What if trials of this life are God’s mercies in disguise? What am I really praying for? What are you really praying for? The song is titled: Blessings, by Laura Story. After reading Pastor Thomas’ comments and thoughts on what Messiah and journeys coffeehouse are doing I was beyond compelled to reply. Below is my reply to his post. Pastor Thomas I would like to share my thoughts on your post and journeys coffeehouse on main street. When journeys coffeehouse was formed over three years ago inside the of the walls of Messiah it was known that is was only a place to grow and cultivate the idea of using a third place to help share the Gospel to the world. As much as one will try the fact is that journeys coffeehouse in it’s current location is stuck within the confines of a traditional church building. Folks who don’t yet know Christ as their personal Lord and Savior don’t want to walk into the walls of a traditional church, most churches buildings freak them out. As I recall from what I read, Jesus did not do the majority of His ministry and outreach in the temple but out where the people are. journeys coffeehouse goal is to create a ministry venue in which the gospel can be shared and lived out. journeys coffeehouse is not intending to be “a church” on main street but instead and more powerful to be “the Church” on main street. We can continue to build traditional church buildings and asking the world to come to Him, or we can take Him to the world. I would rather pour my life into someone while sharing the gospel instead of polishing the pretty bricks on a traditional church building. Jesus did not come to the world to have us make members in church clubs but instead to have His creation cross from death to life through believing in Him. Update to the post. I do understand and believe in the local church so please don’t misunderstand that through my strong statements above. What I do have a problem with are the traditional church settings are so inwardly focused that they are not evangelizing to the world and tightening in on the “club” mentality if even unconsciously. I recently received the Chapadao de Ferro, Brazil from MadCap Coffee Company for this months shipment in the Direct Trade Coffee Club. So far, I have had a chance to try this via a chemex, espresso and in an americano. The dark chocolate comes out in the slow brew while I get a lot more of the caramel in the espresso. Makes for a well rounded and versatile roast. Amazing flavors! I was asked to tape a message to place on the website of Messiah as a thank you for all of those that had joined us for the Christmas season and events. The script was fairly straight forward… after two days of taping of which the first day I was feeling dreadfully ill we ended up with a good video “thank you” message as seen below. Place this on the next book to read after Sun Stand Still. In Radical, David Platt invites you to encounter what Jesus actually said about being his disciple, and then obey what you have heard. He challenges you to consider with an open heart how we have manipulated a God-centered gospel to fit our human-centered preferences. With passionate storytelling and convicting biblical analysis, Platt calls into question a host of comfortable notions that are common among Christ’s followers today. Then he proposes a radical response: live the gospel in ways that are true, filled with promise, and ultimately world changing.